Johnson illustrated the conundrum with a personal recollection: Johnson was paying the fare to board a train in New York City, and as the gate opened to admit him, a child ran up, seemingly out of nowhere, and pushed his way through too. The kid got something for nothing. Why isn't that the human norm? The answer may be that neither the subway nor society in general works properly when only some pay while others freeload. Why should you pay taxes when you know (or at least suspect) that your neighbors are fudging? If enough people start to feel that way, the tax system, and, ultimately, society breaks down completely. What keeps people on the straight and narrow? It may be belief in the Hereafter. We may not be caught and punished by the IRS for cheating on our taxes, but we may fear that we are condemning ourselves to eternal torment. And it's not just us in the Puritan-fueled West who think that way. All human cultures, it is believed, have some instinct of a supernatural force or being -- a Deity or deities who can punish or reward. Even atheists have such impulses from time to time, as the linked story relates, though they do their best to suppress them. Evolution is supposed to be about passing down your own genes. That's fundamentally selfish, or at least a concern confined to one's immediate family. How did we as a species discover that taking care of others increases the odds of one's own genetic survival? Anyone who's read any science fiction will be familiar with the argument that religion is only an agent of oppression. Tricksters who guessed when the rain was coming or when it might flood bamboozled others into feeding them. And then the tricksters refined their observational skills and kept them secret in order to keep the yokels in line. Religion allows an elite to impose its will by creating fear of a Higher Power. And no one needs to go beyond today's newspaper to find examples of oppression and abuses ostensibly in the name of religion -- and practically any religion you care to name, any day of the week. But -- maybe -- it's the oppression part that is the perversion, not the religious impulse itself. Maybe the religious impulse itself is good and healthy and necessary to our survival as a species. Isn't that just the sort of trick a Creator would play on us? How to respond when the past intrudes on the present? I'm getting invites now about once a week for my 30th anniversary law school reunion. I didn't much care for law school. I didn't make a lot of friends while I was there. I didn't like a lot of the folks with whom I came in contact there. With time, I've come to realize that part of the problem was... me. I wasn't a very likable person in those days (whether I've improved, dear reader, is beyond the scope of this morning's discussion). I didn't particularly want to be in law school. I didn't particularly want to be a lawyer. I resented the fact that I'd backed into the profession because I could think of nothing else to do with my history degree. I wasn't overly happy about living at home again after the freedom of college. I drank too much. The girl I was crazy about dumped me. Part of it was disappointed expectations. My father loved law school. After graduating from high school in 1943, he'd tried to enlist in the Army. His buddy was taken -- and wound up wounded in the Battle of the Bulge. My father was rejected. His eyesight was pretty awful; I don't remember if the Army raised any other objection. But, with the Army not an option, my father went to college, graduating, as I would do, 31 years later, in three years. He started law school in 1946 -- and got drafted. My father left law school and went into the military -- but only for about 10 months. My grandfather died and my father got mustered out. He went back to law school. The law school of my father's day was populated by World War II vets, many of whom had seen combat. As my father explained, someone who'd faced death at the hands of the Wehrmacht or the Japanese Imperial Army was not about to shrivel up and die because someone asked him to stand and recite the holding of a case. These vets had learned the value of cooperation and working together for a common cause and they applied their hard-earned knowledge to the mundane task of studying. My father's classmates weren't necessarily that much older than the kids I went to school with -- but my father's classmates were grownups. There was no similar camaraderie in my law school class. I will never forget the first year research assignments: Students would have to look up and copy cases in the library. While it's hard for my 50-something self to remember, there was a time when I didn't understand the difference between "N.W.2d" and "S.W." or "N.E." or "N.E.2d." We might be given an official citation to a Florida case but have to retrieve the case from the West Southeastern Reporter. Anyway, rather than help one another out, my classmates did all they could to submarine their fellows -- all in pursuit of the extra point. Books were not shelved properly or hidden -- and one Class A Jerk razor-bladed a case out of a reporter rather than let his or her classmates find the case too. So, if I was a Class A Jerk, and I probably was, I was not alone by any means. And now we come to yesterday. Oldest Son and I were both at the White Sox game. Oldest Son has weekend season tickets now, and he was there with his wife, Abby. I was there at the invitation of a friend. Both Oldest Son and I were then supposed to go to Youngest Son's football game. We met up as the Sox game ended. Yes, most high school football games are played on Friday nights or Saturday afternoons in Chicago, just as elsewhere. But Youngest Son's team had been invited to participate in the "Kick Off Classic," where six good high schools were paired up for a tripleheader -- at Soldier Field. Where the Bears play. This was quite a nice treat for the boys -- and nice for the parents and relations, too, who have only seen the stadium on TV. I hadn't been to Soldier Field since it was rebuilt. I think the last time I was there was nearly 30 years ago. I had tickets once, about 15 years ago, perhaps, but my mother had a heart attack and I never got to the game. Anyway, I tried in vain to persuade Abby to join us for the evening, but she'd had her fill of sporting events for the day and she is a woman who knows her own mind. So, after the final out was recorded (damn Yankees indeed), Abby and Oldest Son and I headed for the Green Line from U.S. Cellular Field back to the Loop. The platform at 35th Street was crowded, as you might expect when a close, sold-out game disgorges its patrons. Most of those taking the train stop at the closer Red Line, which runs up the median of the Dan Ryan Expressway at that point, but those of us who think we know something walk the extra couple of blocks for the Green Line. Also, Abby could change trains for home from the Green Line without having to leave the platform at the Clark and Lake stop. I guessed correctly where the train doors would open and I was one of the first into the car, getting a seat for Oldest Son and Abby and getting one for myself as well. A lady sat down beside me, engaged in animated conversation with her friend, who was seated across the aisle of the car. The lady beside me looked familiar. I wasn't sure why. To converse with my son and his wife I had to swivel my head around. Thus I could see my seatmate while she had no particular reason to regard me. As the train moved toward the Roosevelt stop, I could see Soldier Field sticking up above the rooflines. "If we were hoofing it," I told Oldest Son, "we'd just get off here." "That's what I thought we were going to do," he said. "No," I replied, as much for Abby's benefit as anyone's, "your mother doesn't want to drive over there so she's meeting us in the Loop." But my seatmate also experienced, I think, a flash of recognition during this exchange. Now I could see her trying to look at me, without obviously looking at me. I quickly stopped talking and turned to look out the window. The train pulled into Roosevelt and my seatmate and her companion got off. As the doors closed, the tumblers clicked into place in my head. "I think I went to law school with that person," I told Oldest Son and Abby. I was glad she got off, though. If she'd ridden into the Loop, I'd probably have had to inquire. I could not remember any name. It would have been even more awkward. Ink belongs in a pen. Or on the printed page. Not on a pretty girl. Or am I hopelessly alone on this one? 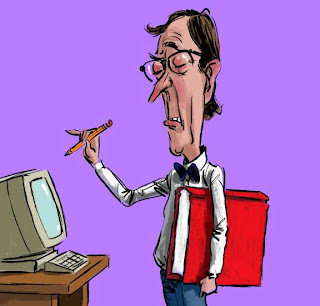 Zuckerberg demands exclusive rights to "face" and "book"
Last week, Facebook went after a start-up web community for teachers called "Teachbook." According to the linked Chicago Tribune account, Facebook's suit against the Northbrook, Illinois company (filed in San Jose, California, naturally) claims, "that the 'book' part of its name is 'highly distinctive in the context of online communities and networking websites.'" Teachbook, by the way, isn't up and running yet. The company has two employees and fewer than 20 would-be users. No wonder Facebook is nervous, eh? Now today comes word, also from the Chicago Tribune, that Facebook is now trying to tie up rights to the word 'face'. But Facebook CEO Mark Zuckerberg has. Because I am here and now claiming all rights to the use of the word "Zuckerberg." I surely have an equal right to "Zuckerberg" as Mr. Zuckerberg does to "face" and "book." And if he doesn't like it, I will smack him right across the front of that lump sticking out of his neck with a sheaf of printed pages held together with a binding. 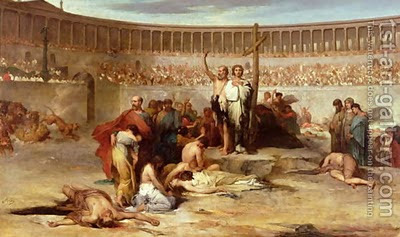 We can not sugarcoat the semi-barbaric state of our European forebears in the High and Late Middle Ages, nor can we deny the wretched excesses of the Crusaders (the slaughter following the Siege of Antioch in 1098, for example, or Richard the Lion Heart's slaughter of 2,700 Muslim hostages after the Siege of Acre in 1191). These were not nice people. And if your history teacher told you that one of the main ideas behind the Crusades were to thin the ranks of "noble" thugs by sending them overseas to be killed, or to die from shipwreck, starvation or disease in transit (all the while keeping these creeps from wreaking havoc at home), I don't know that I could disagree. Let's back up and take a longer view for a moment, can we? The Arabs came storming out of Mecca and Medina in the 600s, conquering North Africa and the Holy Land -- all formerly Christian territory, much of which was controlled by Rome's eastern remnant, Constantinople. The Arab armies crossed into Europe, gobbling up most of Spain and threatening France until Charles Martel blunted their advance. This was jihad. Conquest. Aggression. The point is, the Crusades did not seek to completely destroy Islam (however many forced conversions -- or re-conversions -- were inflicted on populations in their path): There was no attempt to invade Arabia. In that sense, the Crusades were not intended as wars of conquest. There have been oceans of blood spilled by Christians in the name of religion. But Christians seem to have saved their worst atrocities to inflict on each other. Consider the Fourth Crusade, mentioned above. Of course, even that may be interpreted as a reaction to the Byzantines' "massacre of the Latins" in 1182. The Italian trading cities encouraged the sack of Constantinople in revenge. And, then, of course, once Martin Luther nailed his 95 theses to the church door in Wittenberg, so-called Christians really turned on each other. More than a century of seemingly unlimited violence broke loose. One of the main reasons why England's Glorious Revolution of 1688 was so "glorious" was that it was accomplished without re-starting the religious wars in the British Isles. Except in Ireland, of course. We come now to the lesson to be drawn from this very broad survey of European history. I suggest we in the West should stop reflexively apologizing for the Crusades. Neither should we demand apologies from the Arabs for conquering Northern Africa, Egypt, the Holy Land -- or the Turks for finally extinguishing Constantinople. We shouldn't demand apologies for the attempted Muslim conquests of Spain, France or Vienna. (Come to think of it, has anyone really ever demanded apologies from the Muslims for any of this?) Anyway, instead, we should live in the present, and demand that our Muslim cousins do the same (as descendants of our common father Abraham, we're all family, aren't we?). Respected Muslim scholars have concluded that jihad need not be military adventures, bent on conquest. Jihad can properly refer to man's personal struggle against sin -- temptation -- evil. Let's hope (dare I say, let's pray?) that this idea takes root and becomes universally accepted in the Muslim world. If there can be no more military jihads, there can be no more Crusades. SMITH: My secretary -- er, my assistant brought this to my attention this morning. JONES: ABA Journal, you say? I don't remember reading anything about this in this month's issue. DUDLEY (a junior member): No, sir, it was online. SMITH: No, Barnaby, he means it was on that Intertubes thingamajig. SMITH: The point is that this could undermine our entire business model. Does this case apply to us? We need a memo. (Pause.) Get Higgins in here. DUDLEY: Document review in (consults laptop) Phoenix. SMITH: Phoenix in August? Capital. How about Smedley? AGNEW: We have to. It's the law. SMITH: If you say so. AGNEW: Billed the same client more than 24 hours in a day? AGNEW: Well, we'd never let that happen, eh, gentlemen? SMITH: Problem solved, then. Crisis averted. (Turning to intercom) You can bring in the dessert cart now. Pretty extravagant promise to make in a blog title, isn't it? Especially when I promise a short blog post. Fear us. We are strong. But we are fair: We will treat our friends well -- and our enemies harshly. Love us. We are friendly. We want you to be our friends. If you strike us, we will strike back, but only like a caring friend should. And when we've knocked some sense into you, we will pick you back up. Look how we treated Germany and Japan! Yes, I know that the Left's view gets more words. That's "nuance" for you. Sadly, in the real world that has come into existence since the fall of the Berlin Wall, neither view makes a lick of sense. Our strength is useless against terrorists willing to hide behind civilians -- in mosques, hospitals and schools -- as they launch rockets. And our real enemies do not want to be our friends under any circumstances. They want us to die. Or at least convert. Surely you've read how the Qaeda-types sneer how we in the West are afraid of death. And they, they claim, are not. This, they maintain, is their ultimate advantage. Let's talk about that "advantage" in future posts -- but, first, later this week, Mr. Language Curmudgeon will have to provide a vocabulary lesson. If Mormons are Christians, aren't Muslims Christians also? Christian theologians may blanch, but isn't it true that most folks think that Mormons are Christians? That being the case, why, then, aren't Muslims considered Christians as well? Mormons accept Jesus as a great prophet -- I'll leave it to Mormons to explain whether they consider Him the greatest of all prophets. But it is indisputable for Mormons that Jesus is not the last prophet. Joseph Smith had to come along with golden plates given him by an angel in New York State to provide all the stuff that Jesus missed. Muslims also accept Jesus as a great prophet. There is, scholars assure us, far more in the Qur'an about Mary the Mother of Jesus than there is in the New Testament. But, here again, Jesus is not the last prophet. Muhammad had to come along in order to restore true monotheism. Mormons may insist they are Christians because their faith was born in what was then a largely Christian nation. They may have perceived a tactical advantage in not positioning themselves too far away from their Christian neighbors. (They encountered strong resistance anyway. Look up the Mormons' expulsion from Nauvoo, Illinois some time.) Muhammad, on the other hand, undertook his mission in largely pagan Arabia. His pagan neighbors had over 500 years to take up Christianity, if they'd had a mind to, but they hadn't. For Muhammad, there was a tactical advantage in presenting a new faith. I've long wondered how news of Muslim expansion was first received in the West. I'm not talking about later -- when it became apparent that Christianity and the remnants of Roman civilization were under dire military threat. (How many school children today have even heard of Charles Martel?) Rather, I'm thinking about an earlier time, as Arab armies were just beginning their march of conquest across Africa: Was Islam at first considered just another Christian heresy among many? My church history is a little shaky, but I seem to recall that Gnosticism was strongest in Africa; that the apocryphal gospels found in Egypt contained more stories about Jesus as a child than any of the canonical texts; and, finally, that some scholars cite a number of parallels between these accounts and those in the Qur'an. Could the initial attitude in Rome or Constantinople have been 'we've heard this all before?' If so, what a horrible, tragic blunder that was for the West. Anyway, I suppose it wouldn't help relations between Islam and the West if we were to consider Muslims as just another Christian sect... because, somehow, I can't help but think that no serious Muslim would accept the designation favorably. But we in the West must begin to think about who we are and how we differ from our Muslim cousins. To get you started on your weekend reading, let me direct you to an op-ed piece from the August 18 Wall Street Journal entitled "How to Win the Clash of Civilizations." The article is by Ayaan Hirsi Ali. Ellee Seymour's comment to yesterday's post mentioned the new TV courtroom drama The Good Wife. The series is supposed to be set in Chicago. I haven't watched most TV courtroom shows, in fact, and hardly any of the dramas. 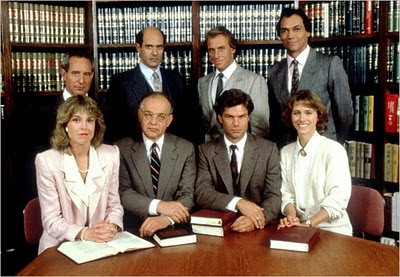 The kids made me watch a couple of episodes of Law & Order within the past year -- and, yes, I know the show had been on for nearly two decades by then. Part of my problem with TV courtroom shows is that they are totally unrealistic. For example, I may have watched an episode or two of Ally McBeal. In my experience, lawyers never wore such short skirts to court. Even the ones who could. 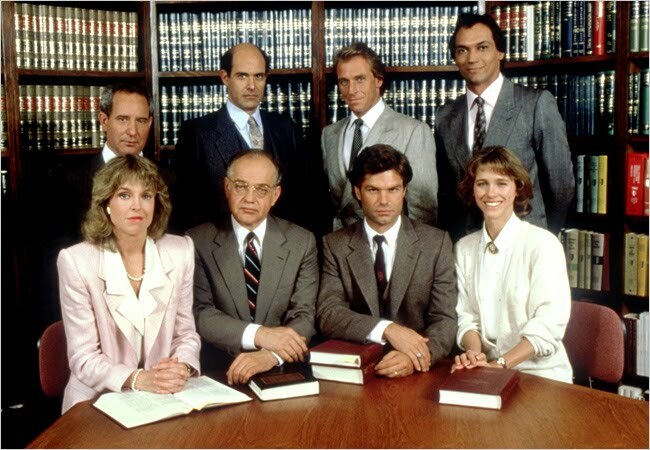 I did watch a few episodes of L.A. Law back in the day. Or did you also think of it as Hill Street Lawyers? That's how I thought of it. With all the extracurricular activity, I wondered how anyone found time to practice law in California. And Arnie Becker was a sure bet for disbarment in any non-TV jurisdiction. For me, these shows only cause trouble: Viewers get unrealistic views of what lawyers can do -- and how quickly they can do it. They learn to think of lawyers as rich... but they never show anyone trying to get out a bill -- or collect on it once sent. And nearly every problem, no matter how seemingly complex at the beginning, could be solved in an hour, usually with someone breaking down on the stand during one of those five minute TV trials. Then, when I can't resolve a blood feud or get millions for a soft tissue case not worth $5,000, the TV-educated client blames me. He did set the pattern. Wouldn't it be nice to win every case? But does anyone else ever think of how awful it must have been to be Hamilton Burger? I do. Oddly enough, my favorite courtroom drama isn't even set in the United States. Leo McKern made Sir John Mortimer's Horace Rumpole a living, breathing, ash-stained, Chateau Thames Embankment-swilling flesh and blood role model for me. Rumpole of the Bailey occupies a proud place in my DVD library; I've read most of the books. I can not quote as readily (or extensively) as Rumpole from the Oxford Book of English Verse -- but I have been known to cite to the Bard when occasion appears. Maybe I like Rumpole because it is impossible for me to gauge how unrealistic it may be. My two favorite TV-lawyer shows aren't realistic at all either -- but they weren't meant to be. Neither were they dramas. I was still in law school when The Associates had its all too brief moment upon the stage. Martin Short was in this one as a green associate; Sir Wilfrid Hyde-White played the senile senior partner. I remember laughing until I cried while watching this show. Naturally, and probably because I liked it, The Associates was canceled after only nine of the scheduled thirteen episodes. Wikipedia says that the show has been re-run on Comedy Central and TV Land as recently as the 1990s -- but I haven't seen it since it's first run. I can't say if it really would be as funny to me now as it was then. But my favorite TV court show clearly does stand the test of time. Night Court has been rerun recently and I had the chance to see a number of episodes. These are just as funny to me now as they were when I first saw them. And I've always liked Mel Tormé. Now it's your turn. 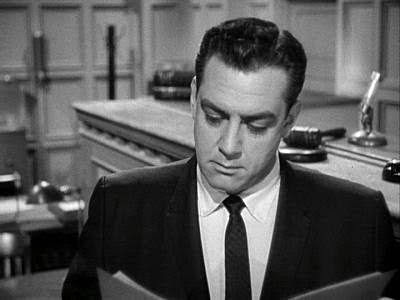 What TV courtroom shows are your favorites... and why? Ask your friends -- and tell them to leave comments, too. I have never felt more alone than I have on those rare occasions when I have stood at counsel table and watched a jury file in to announce its verdict. All my jury experience, such as it is, has been in civil cases. I have never tried a criminal case to verdict before a jury. I can't imagine the feeling would be any less. In any case, and not just in the Blagojevich case, the jury comes back when it's darn good and ready. It usually doesn't take three weeks. In the cases I have tried, it has generally taken only a few hours. A few, long, agonizingly long, hours. As a trial attorney, you have put your whole heart and soul (lawyers really do have both, you know, even if in diminished quantities) into a case. You have come to identify with your client (in Horace Rumpole's phrase, the person "whom I have the honor to represent") to the point where it may be difficult to distinguish where the client stops and you begin. Some of Sam Adam Jr.'s comments to the press during the lengthy deliberation in the Blagojevich case illustrate this rather well. You've left a phone number with the court clerk where you can be reached when the jury is ready. You have been warned not to go far -- not that you could -- not that you would. You are almost too weak to walk, too addled to think about other things that may have piled up while you have been immersed in this case. You may go in search of liquid courage. There was a bar, once upon a time, in the basement of the Brunswick Building, now the George W. Dunne County Administration Building, right across from the Daley Center. I went there on a couple of occasions. But it's been gone for years. Lawyers of a certain age have all heard stories about colleagues who were too drunk to stand for the jury without leaning on the counsel table. 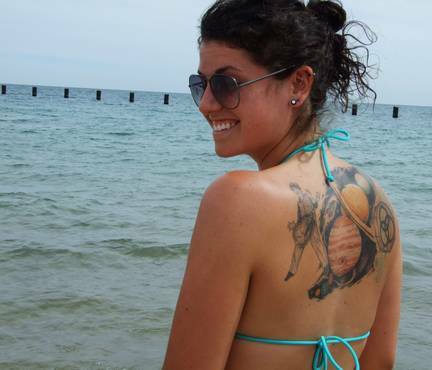 Once, in DuPage County, the learned trial judge admonished us, after the jury had retired to deliberate, not to go to the Viking. Wheaton was a dry town in those days and the Viking -- it was west of town, I think -- was the closest place to go for a drink. After issuing this warning, the judge left the bench. I was packing up to go when the courtroom deputy sidled up to me. "You're a young man," he said -- and it was true, at the time -- "and maybe you didn't take that seriously. Take it seriously." I did. I found a place in town where I had nothing stronger than a bowl of soup. Later, this judge would be assigned to a special DUI call. He was particularly tough on persons convicted of DUI. But, whether the client is present or not, you, the trial attorney, are miserably alone as the jury files back into the box. You try and make eye contact with one of them -- any of them. Most will look down at the ground. Once or twice my desperate telepathic plea for eye contact was returned with a reassuring glance and maybe the barest hint of a smile. On those occasions, I began to hope. Sometimes I've seen that moment between a juror and my opponent. On those occasions, I tried my hardest not to sag. When the verdict is read, there is a moment when you are entirely empty. If the verdict is favorable, you start to swell with happiness and the relief comes off of you in waves. So palpable are these waves, it's a wonder the persons standing nearby are not knocked over. But if the verdict is unfavorable, the emptiness remains. You mechanically ask that the jury be polled -- and you hear the bad news all over... and over... again. "Was this then and is this now your verdict?" "It is." The judge will thank the jury for its service and may have gracious words for you as well... but you probably don't hear them. The judge will tell the jurors that they may -- but they do not have to -- talk to the attorneys on the way out. As the jurors return to the jury room one final time to gather their things, you may remember to stick out your hand to your opponent in a gesture of congratulations. You will smile at the jurors on their way out. Some may even have kind words for you as they pass. Some may offer advice that you'll try to remember when you explain what happened back at the office. If the jurors want to talk with anyone, though, it's usually with the victorious attorney. A lot of times -- as happened yesterday at the Blagojevich trial -- the jurors will just want to get out of Dodge. None of the lawyers had a happy feeling yesterday in Judge Zagel's courtroom. Messrs. Adam et al. had accomplished a rare feat in Federal court -- they had kept their client from being found guilty on all charges. I heard a number during the course of the news coverage yesterday: Fully 96% of the criminal trials in the Northern District result in guilty verdicts. If that's true, the accomplishment of Blagojevich's trial team can not be minimized. But their man still faces a new trial. The Feds will seek the earliest possible trial date -- and Blagojevich will probably seek the longest possible date, perhaps to get new counsel: He's out of money with which to pay his lawyers. The prosecutors must have had the most empty feeling of all. Mr. Fitzgerald addressed the media -- briefly -- but not the actual trial attorneys. But the important thing, for the prosecutors mapping out their strategy for U.S. v. Blagojevich: The Sequel must keep in mind that, on the other charges, the splits were less lopsided -- on at least one, apparently, an actual 6-6 split. The evidence or the presentation, or both, will have to be rethought. Maybe some of the high profile people who were allegedly involved in Blagojevich's schemes will have to testify after all. Maybe the tactic of trying to take down Blagojevich's brother should be rethought -- he'd worked for his brother for only four months before he was arrested. The jury could not decide the brother's guilt or innocence either. Maybe Robert Blagojevich should be given immunity from prosecution -- perjury on the stand at the second trial excepted, of course -- so that he can be made to testify, however reluctantly, against his brother. Blagojevich crowed to the media that the jury said the government had failed to prove him guilty of any charge of corruption -- and that's true. (The one conviction was for lying to the FBI -- which was, in this case, apparently a gimme putt.) However, the jury did not acquit him of anything. There is nothing in that verdict upon which he can reasonably claim exoneration. I eagerly watched the wall-to-wall news coverage last night. But I couldn't stop thinking about how empty both sides must have felt because of what the jury said... and didn't say. Dan Rostenkowski will be buried today from Chicago's St. Stanislau Kostka Church. While in office, Rostenkowski converted postage funds to personal use, had ghost payrollers doing personal errands for him and his family, and some other stuff besides that led to his being indicted by the Feds. After the indictment was handed down, Rostenkowski lost his 1994 reelection bid -- to a Republican! Rosty thereafter copped a plea and did 17 months of Federal time. In his day, though, Rostenkowski was considered a person who could operate above partisan party politics. His signature accomplishment was the 1986 overhaul of the Federal tax system, something that could only have been done in cooperation with the Reagan administration. This got me thinking about bipartisanship -- what it has been, and how it has been redefined. P.S. -- The Republican who beat Rostenkowski in 1994 was Michael Patrick Flanagan. And if ever a person became a marked man as a result, it was Flanagan. If Flanagan had managed to get reelected, he might still be in Congress -- a constant source of embarrassment and shame to our usually solid one-party system here in Chicago. Thus it was in 1996 that all the stops were pulled out to deny Flanagan a second term. And who did the Democrats rely upon to restore that seat to the fold? Yes, that's worked out well, hasn't it? President Obama was right the first time when he said that the proposal to build a mosque within a couple of blocks of New York's "Ground Zero" was a purely local issue and he wouldn't get involved. "Muslims have the same right to practice their religion as everyone else in this country." Again, Mr. Obama was correct. Building any house of worship these days, whether in Manhattan or in suburbia, is almost always controversial. In the news, we hear mostly about protests regarding the construction of new mosques. Part of the reason for that is that Islam is growing rapidly in this country: Recent Asian immigrants brought their religions with them just as our European ancestors did. A lot of the newer arrivals from Asia are Muslim. There aren't a lot of mosques around but there are plenty of Christian churches already; thus, it should come as no surprise to anyone but the ignorant news media that a lot of new mosques will be proposed. But whether mosque or synagogue or evangelical free church, the building of any new church on previously unconsecrated ground is going to honk off a significant portion of its would-be neighbors. Most will not belong to the new congregation -- but all will be affected by traffic and noise. The property will drop off the tax rolls -- and the rest of the community will have to make up the difference. And -- of course -- some won't like the newcomers, no matter who they are, no way and no how. It isn't just Muslims: What if wild-eyed Pastor Jorgensen (or Fr. Murphy or Rev. Billy Bob) wants to open a soup kitchen or a homeless shelter? I dare say it was ever thus in this country. But keep this always in mind: This is America. We can have this debate. Muslims can and will overcome their neighbors' objections and build their mosques. Try and build a church in Saudi Arabia and see what happens. Saudi Arabia allows Roman Catholics and Christians of other denominations to enter the country as foreign workers for temporary work, but does not allow them to practise their faith openly, and as a result Roman Catholics and Christians of other denominations generally only worship in secret within private homes. Items and articles belonging to religions other than Islam are prohibited. These include Bibles, crucifixes, statues, carvings, items with religious symbols, and others. The Saudi Arabian Mutaween (Arabic: مطوعين), or Committee for the Propagation of Virtue and the Prevention of Vice (i.e., the religious police) prohibits the practice of any religion other than Islam. Conversion of a Muslim to another religion is considered apostasy, a crime punishable by death... if the accused does not recant. The Government does not permit non-Muslim clergy to enter the country for the purpose of conducting religious services. Note that we are not talking about the crazy Taliban, but rather our brave and gallant Saudi allies. In 2008, when the first Christian church opened in Qatar (a small chapel without bells or even visible crosses), there was talk that a Catholic church might also be permitted in Saudi Arabia. This Time magazine article (March 19, 2008) claimed, "Pope Benedict XVI is believed to have personally appealed to King Abdullah on the topic during the Saudi monarch's first ever visit to the Vatican last November." There are 800,000 Catholics in Saudi Arabia because the Saudis import Indians and Filipinos to work for them -- but not one church. So: How much Saudi money is in this proposal for the mosque near Ground Zero? (I have read that most mosque construction in this country winds up being subsidized by the Saudis in one way or another.) How about some reciprocity here? There are mosques and synagogues in Rome. A Christian can not set foot in Mecca. Let's stop this bogus harping on American (and/or Western) "intolerance." The mosque will be built in Manhattan, probably right where the proposers want it. When can I expect to go to Mass in a cathedral in Riyadh? It's just the rehearsal for the annual Chicago Air & Water Show. 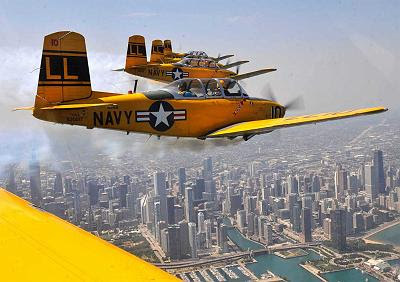 The show is actually tomorrow and Sunday, but office workers in Chicago's Loop and Near North Sides will be hearing the pilots' rehearsals all day long today. It can be quite disconcerting. When I had an office in the River North area, in an older building, the windows would rattle as the Thunderbirds or the Blue Angels (they take turns coming to Chicago) buzzed Oak Street Beach looking at the sunbathers. At least, that's what I guessed they were doing -- the pilots are no longer exclusively male, but men are certainly well represented in that population. I usually tried to take this day off because it was hard to concentrate with jets whooshing and swooshing at unusually low altitudes. Since I've moved to the Undisclosed Location, the Air & Water Show hasn't been that much of a distraction. I have an interior office in the middle of the building. And the planes aren't flying as close to this building as to my old one. Also, I have the 'el' tracks below me and I have become accustomed to that near-constant racket. But it might be kind of fun to mess with someone newly arrived from the suburbs today -- someone just here to shop, for example. You could go out at lunchtime and, then, when a plane buzzes too near, put your hands over your head and start screaming, "Oh no! We're being attacked! 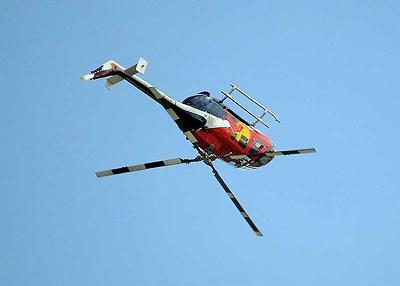 Of course, if your victim sees the Red Bull Upside Down Helicopter instead of an F-16, your little deception might backfire. I'd consider doing this myself... but it's just too hot to go outside unnecessarily. Yesterday, I told you about my exile from the Internet. I regaled you with thrilling tales of replacing major components, wiping out all programs and files, phony IP addresses -- if you don't believe me, read it yourself -- and left you waiting, with me, for a phone call from a guy who takes care of tech issues at my wife's school. This is Chicago, after all. In Chicago, we don't make referrals, we don't suggest that someone may be helpful -- instead, we "got a guy." As in, "I got a guy who can take care of that for you." Guys are doled out sparingly. I mean, when you give someone your guy, he or she ("guy" in this sense is gender neutral) might then became that person's guy. Of course, if things work out, that person is in your debt. Anyway, yesterday, when I left you, I was waiting for my wife's guy -- or, if you prefer, because that does look awkward on the page, her school's guy. In the meantime I'd been to court and got to talking with a colleague about my troubles. He was sympathetic. "I've been through that recently," he said. "It was awful. But now I've got some people." "People" is the plural of "guy." It may also be a slightly more sophisticated way of saying "guy," depending on usage. Note, though, that my colleague did not volunteer the identity of his guy... or his people. If I'd been rude enough to put him on the spot by asking for a name, he'd probably not have volunteered anything. The usual response to such an improper inquiry is something like, "I've got his card back at the office." In other words, you have to call to get the guy. You've got to ask the favor. Creationists who doubt that man evolved from simian forbears should note: This complicated accounting of personal favors is another form of primate grooming, more sophisticated than, but not unlike, one baboon picking lice out of another's fur. My colleague made an offer. That was a little favor. If I called to take him up on it, that would be asking a much bigger favor. Well, I got back to the office and pretended to work. Mostly, though, I just waited. Because this has been wearing on me. These computer issues were weighing on me like stones being 'pressed' on a suspected witch. Put it this way: My wife came down to pick me up at the office at 9:30 Tuesday night because she was concerned that, in my distraction, I might step in front of the train instead of on to it. Finally, the phone rang. It was 'Don' (as always... names are changed). "Uh, hi," he began, "your wife said --"
"Don!" I interrupted. "You are the answer to a maiden's prayer!" "I've never heard that one before," he said, undoubtedly wondering how he'd gotten roped into calling this crazy person. It took two hours. I told him what I'd done before. I ran back and forth between my Inner Sanctum and the conference room and the closet where all the Internet connections are funneled into a pathway to the outside world. (Cordless phones are very helpful at times.) I set up the old computer back in my office. Don looked up manuals for the modem and the router and the whatchamacallit in between. Here there were all sorts of plugs jammed into a tiny corner of the shelf above the coat rack. I'd report which lights were green and which were not. I'd pull one plug, then check on whether we had a live connection in my office. In this way, we eventually determined that we had a dead port in the router. By plugging that same cord into the whatchamacallit, we were able to reestablish a live connection to my room. But, this was not yet the end of the problem: Though my old computer could "see" the restored connection, the new one could not. Eventually, we "forced" an IP address on the new computer... and then it too saw the Internet. And, thankfully, this morning, it still does. I'm coming to you this morning from the conference room across the hall from my Inner Sanctum. Here, I've jury-rigged my old computer and tied it into the office internet connection. Don't ask me if it's T1, DSL or doo-wah-diddy. I don't know. I do know that if the plug goes into the special wall outlet and if the little computer screen-glyph in the corner of the screen doesn't have a red X (or in Windows 7, a little yellow triangle with an exclamation point), then I am connected to the whole world. I also know that, Friday night, when I left the Undisclosed Location, I had Internet service. It was wonderful. I could push one button on my keyboard and my home page would spring into existence. I got to visit sites that would have taken me forever to load. I wanted to mention a couple of these in my next post. Maybe I still will -- in my next post, assuming I can ever get back to those carefree days of only last week. On Monday, though, I had nothing. There was that accusing little yellow triangle. Now, I had done nothing to the wall connection, nothing to the network connections, nothing to anything except to remove the ethernet cord from my old machine and attach it to the new one. For three days I had joy unbounded. But, ladies and gentlemen, the people at the other end of the phone in these customer service locations, whether somewhere in the American heartland, the suburbs of Mumbai, or just outside of Manila, don't know everything. Reset my machine to original factory specs -- meaning that the programs and data I had loaded on last week were lost forever... or so I was told. None of this worked. In the meantime, we discovered this viable connection in the conference room and verified that the new machine seemed to be up and running on the 'net whilst plugged in here. It now appears that there may be a physical problem with my Internet connection after all. I am awaiting a call today from a technician who does work at my wife's school. The teachers there swear by this guy -- and I'm hoping he can help me, too. Perhaps I'll be able to recapture those happy times of only last week yet again. It wasn't just the phony IP address that the nice folks at Dell overlooked. Yesterday evening, in the course of my insistence that it must be some software bug, a nice lady guided me through the factory reset options. But she was unfamiliar with Windows 7. It turns out that Windows 7 makes you back up everything before you reset and this is saved to an "Emergency" folder in the machine. The nice Dell lady led me to believe that this was just a palliative, that it would not really save anything that I could actually recover after the restore operation. She seemed surprised, then, at how long the backup took. I tried looking for the "Emergency" folder after the restart, hoping against hope that I might be able to restore the status quo ante given the spectacular failure of this latest effort to restore my ties to the outside world. But I didn't find it -- not right away, anyway -- not until I was about done reloading my programs. Despite the top layer of "libraries," there is a still a directory structure in Windows 7, just as there is still a kernel of DOS lurking beneath the pretty Windows 7 shell. The directory, C:\EMERGENCY, seems to have an executable restoration file sitting there. If I'd found it sooner, I would have used it. As it was, I didn't make the attempt. Perhaps someone who stumbles upon this will have experience in having tried it before? What happened when the attempt was made? If you read the comments to yesterday's post, you'll see that Dave, an Atlanta lawyer, thinks I'm dead wrong about the Perry case. We disagree on whether the U.S. Constitution requires the states to accept homosexual marriages. I had a long comment this morning to Dave's last comment... and Blogger ate it because it was too long. If I'd been smart, I'd have saved it before trying to publish so I could just post it here. Is that an admission against interest? Dave and I agree, I think, on more than it may at first blush appear. We disagree on the ultimate issue, of course, but we could both agree (I believe) that the states could get out of the marriage business altogether and simply register domestic partnerships. I submit that the institution of "marriage" has both religious and civil purposes. There is some overlap although, I think, and for good reason. From the state's standpoint, marriage is important for the formation of stable families and the production of solid citizens for the future. If you think that isn't a valid state interest, think of our inner-city gang problems. In our cities, where illegitimacy is the norm, and babies have babies, young boys turn to gangs for a perverted kind of the structure and discipline that should have been theirs were they born into a two-parent family. Don't tell me about movie stars who can raise kids on their own without getting married. There are exceptions to every rule. (And movie stars can afford nannies and chauffeurs and cooks.... ) There are probably also gang-bangers who come from middle-class, two parent families. But not many. Not many at all. The state's legitimate interest in promoting stable families (and it's equally legitimate interest in protecting children) can be served by registering domestic partnerships instead of by licensing marriages. This would allow gay couples to be treated equally in the eyes of the law with heterosexual couples. The Church of What's Happening Now can "marry" gay couples if it wants. The Catholic Church (for example) can continue to insist that "marriage" is the union between a man and a woman. My concern over Perry is that it is a legal tactic designed to end debate, rather than build consensus. Too many people don't "do unto others as" they "would have them do unto you." They don't see the minority as their "brother" so as to "love him as yourself." They will never find consensus unless dragged, kicking and screaming. And, of course, Dave is right when he says that some people are, indeed, Class A Jerks. But I say consensus does not require unanimity. Consider the struggle of African-Americans for civil rights. I take the position that the Civil Rights Act of 1964 and the Voting Rights Act of 1965 could not have been passed if a national consensus had formed favoring civil rights for all Americans, regardless of race. Law reflects what people think; but, it can also be normative, forcing people to rub up against each other, where, over time, they find that their fears were unfounded. We have here something of a chicken and egg question. I'd agree that racial attitudes have progressed substantially in this country since the enactment of the Civil Rights Act of 1964 and the Voting Rights Act of 1965. I doubt very highly that the majority of 'decent folk' who agreed that legally sanctioned racism must be ended could have imagined that 44 years after the first of these laws, our 44th President would be an African-American. Thus, I'd agree with Dave's concept on the normative function of laws -- but only with the caveat that these must be laws adopted pursuant to consensus. It's not as if the Civil Rights Acts of the 1960s were the first such laws. In the aftermath of the Civil War, Congress passed civil rights laws that were meant to protect the rights of freedmen in the South. And as long as the Union Army remained in place, these laws were enforced. As soon as Reconstruction ended, though, so did enforcement of the civil rights laws. Jim Crow became the law instead. So I come back to Perry and say that it's a terrible idea to impose, by judicial fiat, gay marriage on a population that does not accept it. You want court cases that will help people reach a consensus that accepts gay marriage? How about a suit against a hospital which denies someone's life partner the opportunity to attend the bedside of his dying loved one? How about a challenge to intestacy laws? Find me a case where a gay person has died without a will -- and his or her life partner, who has some compelling special need, is denied anything from the estate in favor of a sibling of the decedent... preferably an estranged sibling who cut off all contact with the deceased because of the deceased's sexual orientation. Making allowances, always, for Dave's Class A Jerks, I think a lot of people -- most people -- want to be fair and want to do the right thing. But, as in a jury trial, the good lawyer does not tell a jury what it must think, it shows the jurors the case in a way that lets them arrive at the desired conclusion. Get enough of these individual cases and you will see attitudes change. You know, Prop. 8 didn't pass by an overwhelming margin in California in the first place. I think the place where the law should wind up is with domestic partnerships, with the states removed from deciding what is, or is not, a marriage. But a consensus will form where it will. If, of course, it is permitted to form at all. A federal judge in San Francisco yesterday overturned California's Proposition 8, duly enacted by the voters of that state, because the ban on homosexual marriage violates the U.S. Constitution. According to the linked AP story (from Yahoo! News), an appeal has already been filed. Here's what will happen: The 9th Circuit Court of Appeals will affirm the ruling, whether or not that court accepts all of the District Court's reasoning. The case will then go to the Supreme Court where, in a couple of years, on the last day before the Court adjourns for the summer, we will be treated to a 5-4 split on the basic question and six, maybe even seven, opinions. I don't venture to predict which side will have the five votes in the Supreme Court. I will say that whichever side wins, this country will be the loser. The country will lose because the "culture wars" will be ratcheted up yet another notch at least until the court rules. Gay activists are trying to cast their crusade for marriage rights as a civil rights campaign. But their tactics are inconsistent with those that finally secured the legal rights of African-Americans a century after the official end of slavery. Gay activists will not wait: They are out to establish that gay marriage is protected by the U.S. Constitution -- hell-bent on sweeping aside state constitutions, state statutes, the Federal Defense of Marriage Act and any other laws enacted by the duly elected representatives of the people that contradict their viewpoint. Who's Bull Connor here? Me? The Pope? I don't think a relationship between two men or two women, however committed and loving, is a marriage. Under any definition I understand, a marriage can only be contracted between a man and a woman. On the other hand, I would be appalled -- sickened -- if someone's life partner were barred from a hospital room during his loved one's final illness because he was not a 'spouse.' I'd be in favor of getting the state out of the marriage business altogether -- in favor of registering domestic partnerships instead -- to prevent that kind of outrage. But no court decision is going to change my mind about what is, or is not, a marriage. My children may feel differently. Truth be told, I think most of them do feel differently already. I will go the way of all flesh eventually and my children's opinion may become the consensus. And then the gay activists would have won. But the gay activists will not wait for consensus. They have moved to cut off debate. A better analogy to what they're trying to do in Perry v. Schwarzenegger would be to the national debate over abortion. Before Roe v. Wade, the several states had a patchwork of laws. Abortion was virtually impossible in some states; it was available on demand and almost without restriction in others. Other states groped for a middle course. There was no national consensus. But activists took the courts and the courts allowed themselves to be used. The Supreme Court ruling did not create a national consensus. A consensus forms -- it can not be dictated. And, as a result, we still have -- and will continue to have -- the abortion issue as a bitter, festering wound on the body politic. Is that what the gay activists want for their cause? I can't believe that. We were in the middle of a conference call and one of the defendant's attorneys began referring to figures on a proposal that was more recent than the last one I could find in my file. "I'll just email you a copy," she said, and I started to laugh. One of the other attorneys on the call shares office space with me, so he was able to get the email and print out two copies... while my computer was still trying to start Firefox. I didn't want to call attention to the fact that my colleague and I were in the same room so I said I could follow along from the proposal I had. I looked back into my office. From the screen it almost appeared as if... yes... Firefox was definitely starting up. Or starting to start up. I said so. "Wow," said one of the other attorneys on the call. "That must be a slow computer." "It's very old," I said. "Like us, I suppose," said the retired judge, who was mediating the settlement conference. Everyone had another chuckle and we moved on. Eventually -- maybe -- possibly -- we settled the case. We'll see. In the course of thanking everyone, including the mediator (whose efforts really were above and beyond the call in this case) I mentioned that my computer was logged on and I could probably get my email now. Everyone was amazed -- and, of course, they assumed I was exaggerating. Indeed, I had underestimated the time it would take to navigate through the sea of "unresponsive script" messages in order to open the email. I finally got an email open -- not the one in question here, but an email -- about a half hour later. Moments after that, FedEx arrived with two large boxes. I'd gotten tired of half-hour adventures every time I wanted to look at an email, so I'd finally broken down and ordered a new Windows 7 computer last week. It had arrived early. I stayed late getting it mostly set up. My checkbook program is obsolete and my new one won't import my checkbook data. It is possible my accountant can help on this. But, other than that, I may be able to hit the ground running this morning.